Anyone who’s anyone knows The Real Slim Shady never smiles; presumably it’s a part of his ‘rap god’ persona, ensuring he always comes out on top of any emerging rap feud. Can you even imagine a world where Eminem smiled for the cover of one of his albums, or for a magazine interview? It seems nigh on impossible to think of. But now the imagining days are over, as one man has taken it upon himself to edit a series of pictures of the renowned rapper – all which show him with a huge grin on his face. Photoshop whizz Mike Brown, whose aim is to ‘make someone smile everyday’, does exactly that on his Facebook page. But probably not in the nice, unsuspecting ways you’re most likely thinking of. 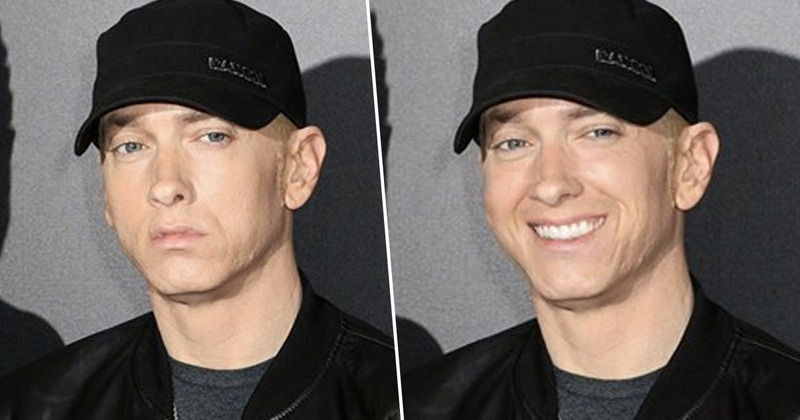 Instead, Mike photoshops smiles onto random celebrities in his spare time – his most popular one being Slim Shady himself. 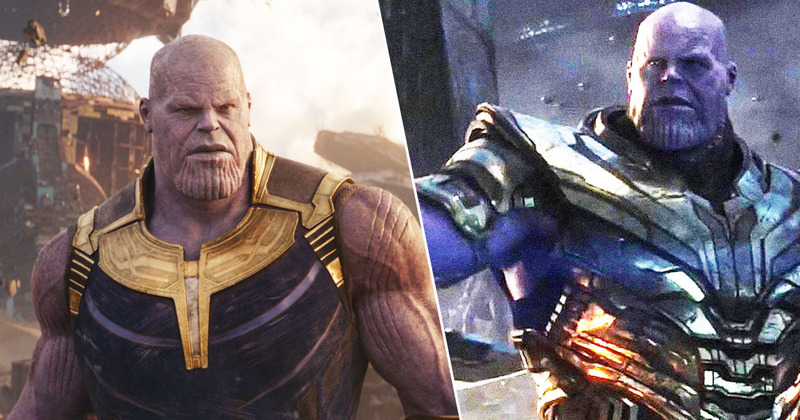 The post showed several ‘before’ and ‘after’ pictures of Em, with the original ones showing his usual, smouldering face, and the latter depicting a startlingly different (alternate) reality. The altered images show Eminem with a cheesy grin and pearly whites, which I’ve got to admit is slightly unnerving. I’ve always manipulated faces, it’s just funny to me. I always look for new manipulations, and ways to go about it. I came across a plugin that allows photoshop to scour the web for close matches. Although I had some success, the results took too long to ‘get right,’ so I kept trying and trying different ways. I ended up buying an app on Google Play that did just the trick, in such a faster time frame. So I do a first edit in Photoshop, then I run it through the Facetime app, apply a few filters to make the image seem real, and it’s done! I chose Eminem because that guy never smiles! And me and my wife were laughing at the one I did initially. So I posted it by itself at first, and my sister wanted a few more because it looked so good. The rest I can’t explain, I woke up and there were like 32,000 shares. I don’t know about you, but I think the grin will be forever engraved in my memory – it’s so creepy. Hopefully Em will just stick to his usual poker face to save us all from the nightmares.